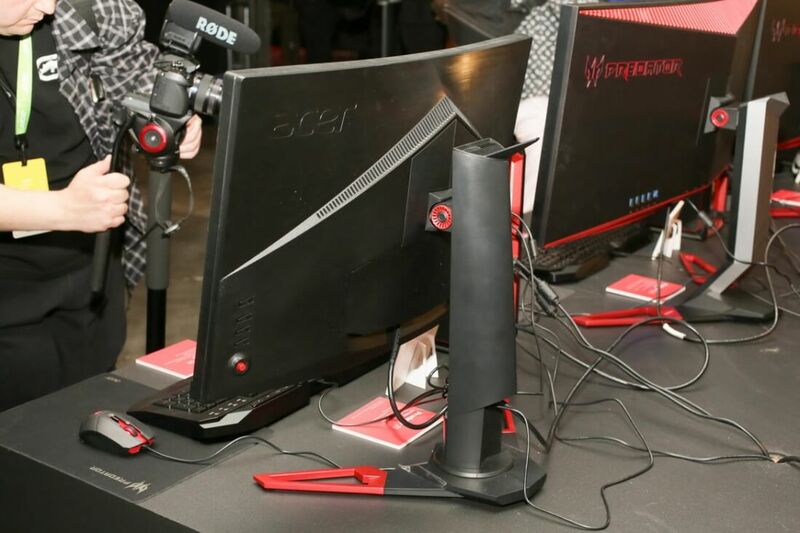 Acer has welcomed three curved additions to its Predator line of gaming monitors, all bearing a very solid collection of specifications along with the black and red designs of previous models. The new Predator Z1 series is mainly separated by size: there are 27- and 31.5-inch 1080p models, along with a 30-inch ultrawide 2560x1080 panel. All of these monitors feature a 1800R curve, which is a stronger than average curve for computer monitors of this size. As for panel technology, Acer has used VA LCDs for these monitors, which aren't as good as the latest IPS displays in color reproduction but often feature better black levels. With that said, Acer claims that these displays still meet 100% sRGB coverage. The refresh rate specifications of all three monitors are very impressive. The 30-inch ultrawide model can go as high as 200 Hz with a 4ms response time, while the other two displays come in at 144 Hz. All come with ambient light sensors and Nvidia's G-Sync technology for adaptive refresh rates, which makes the experience even better while gaming. The Predator Z1 series will "start" at $599 when they hit the market in June, and you could assume that price refers to the 27-inch model. Considering other 27-inch 144 Hz monitors cost around the $300-350 mark, Acer is charging a bit of a premium for features like G-Sync and a curved panel, but that's to be expected.